I reviewed the Samsung SmartThings Starter pack and won it last year. I still use the SmartPlug’s to control the Pump & Light on our fish tank (Can you Phone the Fish? )which is an absolute life saver especially if we aren’t home & forgot to turn on their pump! I also use the Multi-purpose sensor to send me a notification on my phone if something comes through the letterbox. The SmartMotion Sensor however I hadn’t really managed to come up with a good use for yet. Izzy has recently started getting out of bed and coming in to the living room at night. She plays a bit of a game with it making sure to cover the monitor with a blanket or teddy so we can’t hear her sneaking out of bed. She rarely wants something, she just wants to know what we are up to and with Eva making sure to keep her awake after we have put Izzy back to bed, we become yo-yo’s trying to get her to stay in bed. If we manage to catch her at her door she will generally go back to bed and go to sleep. If she gets any further though she thinks she’s winning and keeps trying. Now it’s set up in the girls room so when they pass their chest of drawers (the range is pretty good too!) I get a notification on my phone. So as Izzy gets out of bed we can race her to their door and get her back into bed quickly and stop her little game. We’ve been using it for the last week now and she has learnt rather quickly WE KNOW and she cant (yet) find away to open that bedroom door without setting off the sensor Muahahah! Now she will actually call through the monitor ‘poo bum!’ or ‘Melp pweeeeaaaaase’ when she wants something and doesn’t get up and down just because she can. Thi s could also be useful for potty training too as I will be woken up if she leaves her room to head for the toilet/potty. Samsung SmartThing’s Motion Sensor finally has a purpose. It also let’s me know the room temperature which means as the colder months draw in closer we can make sure there room is kept at a good temperature too! I’m sure most of you have heard me moaning like a little girl about the death of my LGG4 followed by the long wait for it to be repaired & returned and some of you may possibly wondering why I keep banging on about the phone. Well yes partly I am a bit of a phone obsessed geek but the phone itself is genuinely the best phone I’ve had the pleasure of owning so far! So much so I decided to share with you 10 reasons I love it so much! Screen size – The LGG4 has a 5.5 inch Quantum 2K IPS (2560 × 1440 resolution 534 PPI) display. Something I never thought would bother me was screen size (considering I once had the Virgin Lobster 485 teeny tiny phone) but after using the G4 for 8 months then reverting back to smaller screen size for a month I seriously appreciate having a larger screen again. The images are so crisp and clear on the G4 anything smaller just doesn’t compare! Memory – In this day and age with so many apps and games you need a decent amount of memory on most phones and 2GB really didn’t cut it. I could just about download facebook, twitter, instagram & wordpress but then couldn’t receive emails unless i deleted them constantly at least on the G4 with 32GB I never run out of memory & if I did there is a Micro SD slot to expand the memory further. Camera quality! – OK I may not be great at taking photo’s but I honestly love taking them and having them to look back on especially with the girls constantly growing and learning. Whilst I’m still learning my way around camera’s it really is noticeable how amazing the G4 camera is all round! Izzy was as pleased as me as she absolutely loves the front camera to take a good selfie! Signal quality – The LGG4 picks up my wifi 11 floors down and a good few yards away in the college opposite us yet my old HTC One X and even the Samsung Galaxy Young I have used over the last month I can barely get a wifi signal in my own kitchen! As for calls and texts my signal rarely fails on the G4 which eases a lot of my anxieties whereas the galaxy young rarely had signal. Phoning the fish! – I turned off my Smart Hub whilst I was without the G4 as I just didn’t have the memory to install it on the galaxy young and since the Mr’s phone is dying a slow death it literally takes hours to download anything even using wifi (his signal is pants!) I genuinely couldn’t be bothered to set it up on his phone. Now the G4 is back I plugged it all back in so we could continue phoning the fish. With the added Power Outlet I won the fish tank light and pump are now both using a power outlet and I even got round to installing the app on the Mr’s phone too. Google apps – Although the galaxy young also had Google apps and the capability to sync ONE Google account and the lack of memory meant it didn’t sync regularly or receive notifications properly. I have 3 Gmail accounts I like to keep on top of so only being able to sync one account was hell especially as I wasn’t able to sync my blogging Gmail account meaning I was late replying to a few emails! Now I have all my accounts synced up and get notifications again I can keep on top of it all much better. I can also use the calendar again which is extremely important for me to have since I forget EVERYTHING! Blogging tools – With the G4 I have the space to keep a range of apps including WordPress and Quick memo+ meaning I can write out posts as they come to me and save them to go back and edit them later. I can check all my social accounts regularly and chat to other bloggers again although admittedly I’ve done very little of this so far as I’ve been busy filling the phone up with apps and syncing my accounts when I’m not busy with life. Gaming – Oh how I missed playing games in moments of boredom! With lack of space, a tiny screen and awful signal I couldn’t play a single game. The graphics are amazing on the G4 and I am loving playing games such as reckless racing 3, crack attack and word dash again! Music – The G4 sound quality is great and I love listening to music when I’m on public transport or walking somewhere alone and I couldn’t wait to download all my favourite songs again ready for a moment of freedom 😉 haha! Youtube – I never realised just how much I relied on youtube until it was unusable on the galaxy young. Eva asks a ton of questions and some times the easiest way to explain things to her is by showing her educational videos and I missed being able to quickly show her a video. My crochet has been neglected slightly too as I was using my phone to watch tutorials. So there are ten reasons why I missed my LGG4 (and hated the Samsung Galaxy Young). If your phone was damaged what would you miss most? Over the last few months, I’ve been posting about the Samsung SmartThings Starter kit I received to test and review in a word of mouth campaign thanks to The Insiders. Throughout the campaign there were a few challenges to make videos. Unfortunately due to my anxiety I was really struggling to participate in these challenges. I contacted The Insiders to apologize. In the last few weeks of the campaign The Insiders added a challenge for those that reported conversations, posts etc the most so they could also win their starter kit. Luckily I’ve spoken to a good few people about the starter kit as well as posting about how I have used it on-line and reported back several times. A few days ago I received an amazing email from The Insiders! I was one of the lucky few that gets to keep their starter kit. 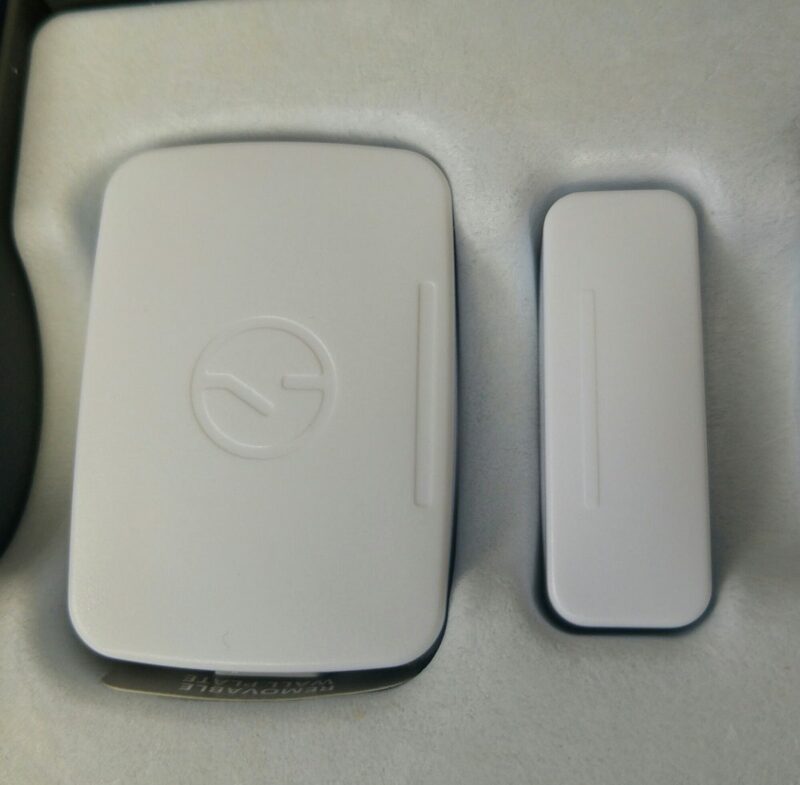 I will also receive 3 extra sensors including the Motion, Presence & Multi sensors! To say I am over the moon would be an understatement. I thought all the challenges were over. Because I thought this, I was gutted I would have to send my starter kit back. I couldn’t afford £99 to buy it but getting to keep it along with 3 extras is awesome. Honestly, I cant wait to receive them and put them to good use! Along with the LGG4 campaign I have thoroughly enjoyed being an Insider! I can’t wait to see what campaigns are coming up next! Can you phone the fish? I hardly expected ‘ Can you phone the fish ‘ to be something I’d hear twice a day. Thanks to the Samsung Smart Things Power Outlet it is now a regular occurance in our home. To be able to put up our Christmas tree this year we had to rearrange the living room, as part of this we moved the fish tank onto a bigger sturdier table as I was beginning to panic daily at the way the smaller table bowed in the middle especially with both girls constantly leaning on it! Having moved the fishtank and bigger table the Mr realised it was going to be awkward to turn off the fish tank’s pump whilst the fish were fed and begun trying to think of a way to solve it. Eventually I realised the Smart Things Power outlet could come in useful here allowing us to keep the new changes as I can turn the pump on and off via the Smart Things app as needed. I told the Mr he could do it on his phone too since the app allows you to share your account with several devices. The Mr isn’t a great fan of technology though and still hasn’t installed the app, admittedly I keep saying I will install it and set it up for him but keep forgetting to do it! Instead every morning and every night the Mr turns to me and says ‘can you phone the fish’ 😂 it makes me giggle every time he says can you phone the fish as well as making it easier to turn the pump off and on. Im absolutely in love with the Samsung SmartThings starter kit from The Insiders and slowly finding more ways to use it around our flat to make our lives easier. Im quite tempted to attach the presence sensor to Eva’s school bag next since it keeps getting lost in school at least that way we can beep it to try and locate it faster and save a ton of stress. I wish there were more Power Outlet’s too so I could have the Kettle boil when Eva is almost home so the Mr can make himself a coffee without having to call me to put the kettle on… Hmm perhaps 2 Presence Sensors would be better so we could attach it to the Mr’s Backpack as he take’s it shopping. I seriously hope I get to win my starter kit as I think I could quite easily get carried away buying extra’s for it! Do you think Samsung SmartThings could be useful in your home? Last week I revealed the Samsung smartThings package sent to me from TheInsiders, I explained how I had used the SmartThings Power outlet to control the table lamp in my living room. It was so simple to use via the SmartThings app on my phone. I’m sure we have all had it in the past where a sneaky delivery driver tries to silently push through a missed delivery card. I guess it saves them the few minutes it takes for you to answer the door and sign for a parcel. Its happened to me several times, some I’ve caught out and managed to get the parcel. Others I’ve missed and ended up having to collect from a sorting office. I was trying to think of a way to catch him out using the SmartThings. Living in a tower block of flats I wasn’t keen on the idea of attaching anything on the outside to alert me of their presence so the Multi-Sensor was out of the question. Eventually, I decided to try the Motion Sensor. I figured if I attached it to the inside of my letterbox, I could probably set it up to send me a notification on my phone if anything came through. At least this way I will know as soon as the card is put through the door. Then I can get to the door before they jump in the lift! I attached the monitors and synced them to the SmartThings app This really is simpler to do than I thought it might be! I chose to be alerted whenever the letterbox opens and closes. Then I set the notification tone to the noisiest one I could find. Now, whenever I receive letters or ‘Miss’ a delivery I receive a notification saying ‘You’ve got mail!’. This has helped us out loads this week as we have begun ordering presents ready for Christmas. I have already managed to catch a delivery driver before he got in the lif,t, so I’m really pleased! I have been majorly impressed by how quick, simple and easy it has been to set up & use the SmartThings and control them via the SmartThings App. Admittedly I get notifications whenever the door is opened and closed however as I have a 5yo daughter who has recently begun to try answering the front door alone it has actually been more useful than annoying. It also lets me know when my 16mo daughter is trying to post toys and pegs out the door too! I’m still unsure how to use the SmartThings Multi Sensor and Presence sensor so if any of you have any idea’s you’d like me to try I’ll give it a go! Otherwise I shall hopefully have something figured out by next weekend! Watch this space! The Insiders have once again allowed me to participate in one of their amazing campaigns. I can’t wait to share it with you all! In a previous post I mentioned I received the LGG4 and LG Infinim headphones to test and review and posted a short & sweet review here. This time However I have been invited to test out the Samsung Smart things! Im very excited to see what is in the box as the description describes the Samsung Smart things as being “the best way to cheaply and easily keep you connected and in control of your home.”. I’m expecting the box to arrive within the next fortnight and will be sharing with you all just what exactly is in the box and my thoughts on the product itself so watch this space! !